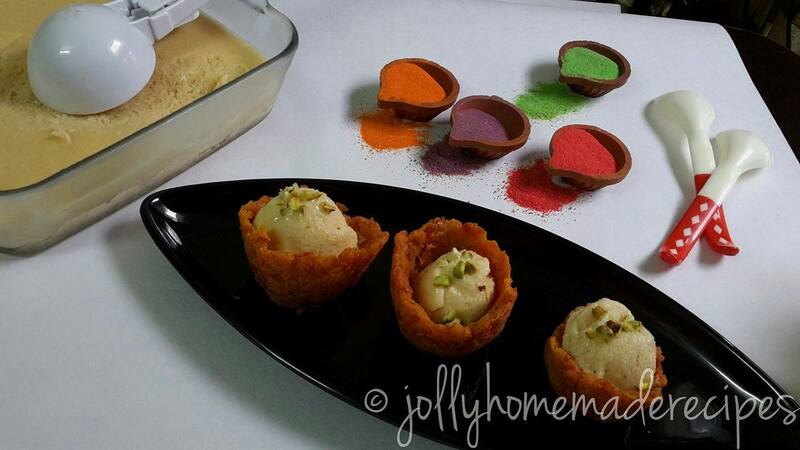 Special innovative Dessert for this Holi - Exotic and Flavorful Thandai Ice Cream. Holi is almost here, the festivals of colors is incomplete with special delicacies. 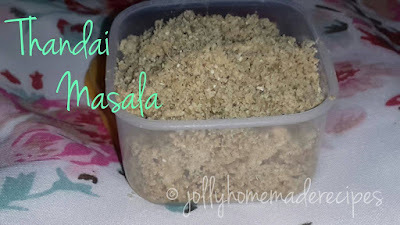 There are numerous recipes prepared during this festival. 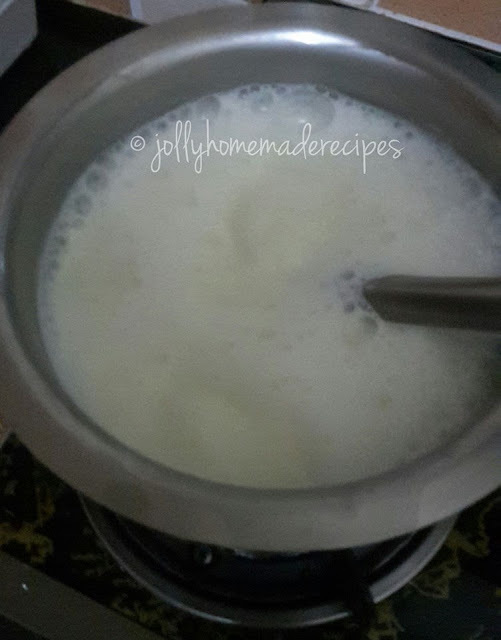 What is Thandai? Thandai is a chilled flavored beverage made with full cream milk, nuts and special dry spices which is easily available in your kitchen, make thandai powder at home for storage purpose and future use, so make it as per your convenience. 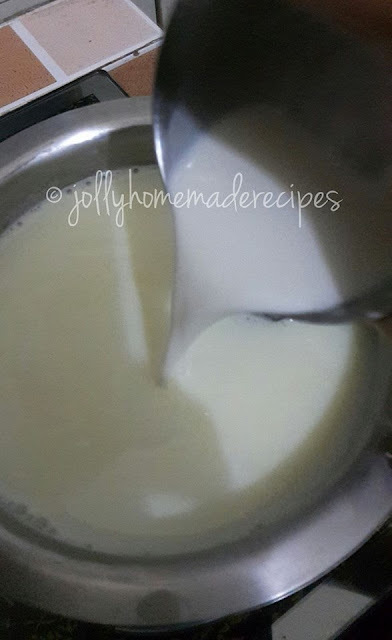 Thandai is a very popular drink in North India made during Holi and perfect dessert for festivals and summers too, which acts as a body coolant too. 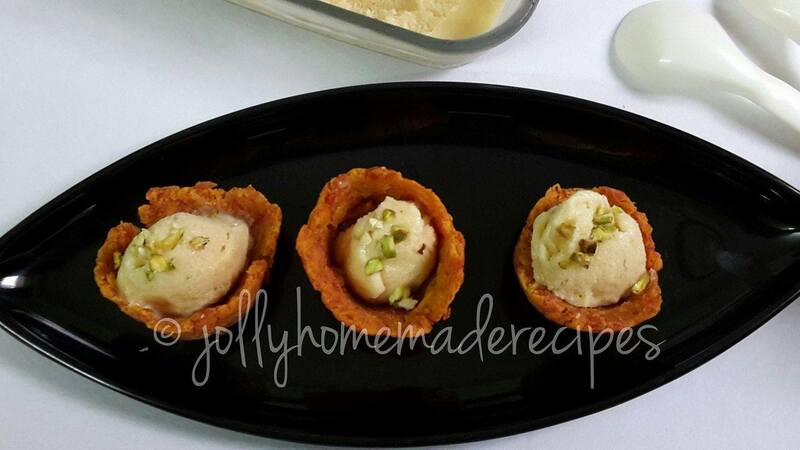 Ice cream with gajar halwa perfect accompaniment. 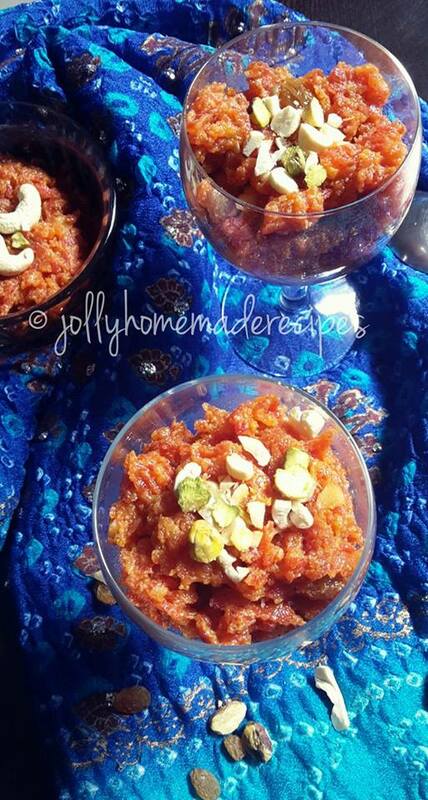 I made gajar halwa for this holi special, recipe will be upcoming soon on my blog. 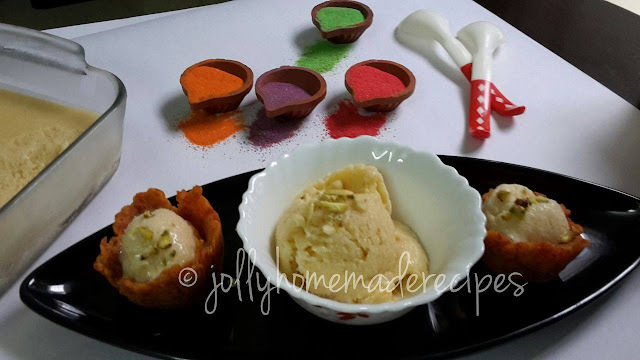 This is exotic with saffron flavor and the spices just elevate the flavor of this ice cream. 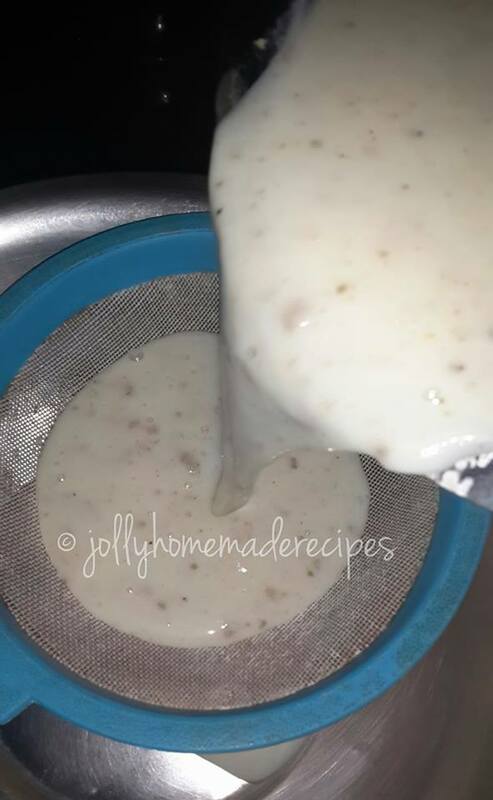 As the Bangalore temperature is too hot here these days, so my ice cream is done a perfect job with this humidity :D. It is so unique and flavorful for your taste buds. This recipe was taken by Chef Tarla dalal ji cookbook. The appearance is satisfying and flavors too are creamy, rich, and yummy. 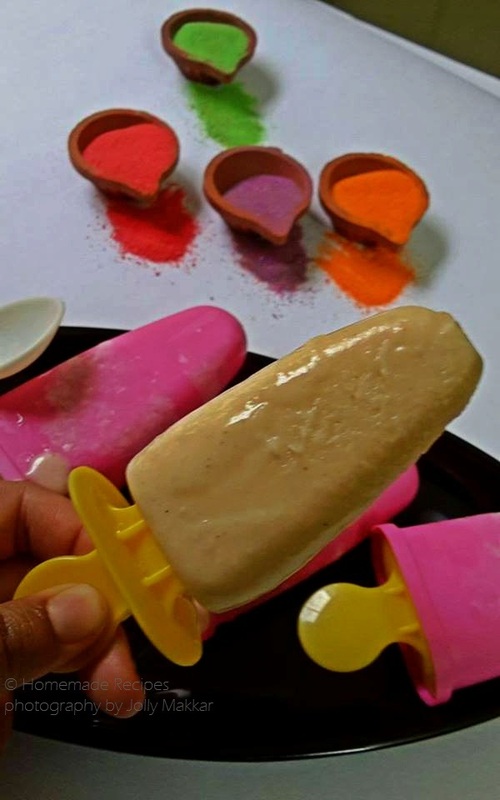 Follow a few easy steps and treat your guests this time with an exotic ice cream flavor that has years of legends attached to it. 1. 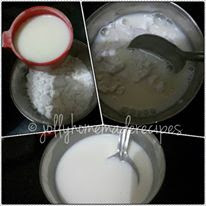 Dissolve the cornflour in 1/4 cup of cold milk. Keep it aside. 2. 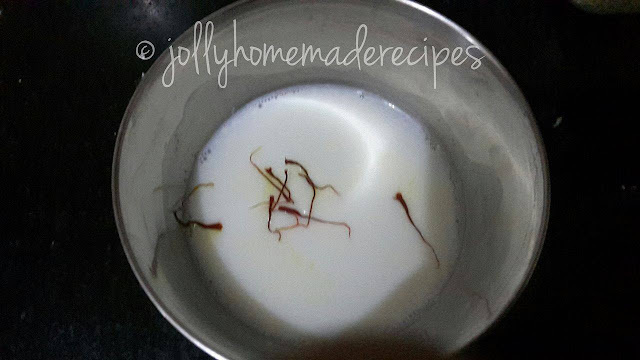 Dissolve the saffron in 2 tablespoons of warm milk. Keep it aside. 3. 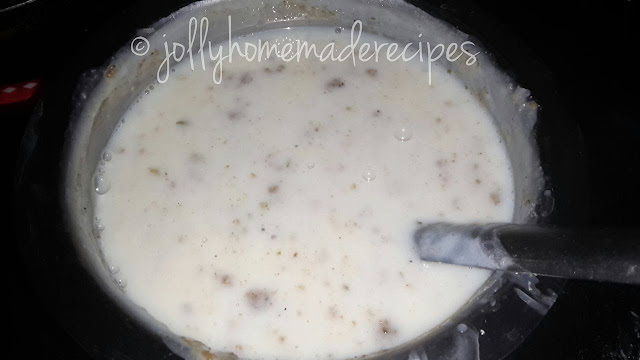 Place the rest of the milk in a heavy bottomed pan and bring it to a boil, Add the sugar and simmer for 5 minutes. 4. Add the dissolved cornflour and simmer for another 5 minutes while stirring continuously, till it is of a coating consistency. 5. 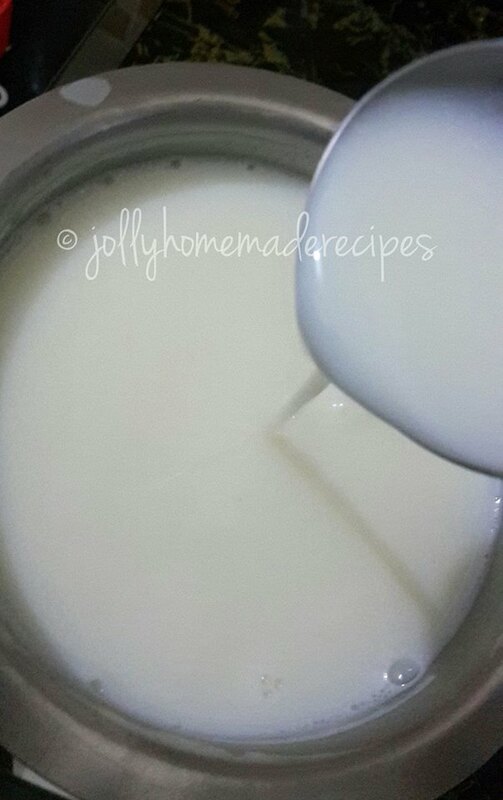 Add the thandai flavoring and mix well. 6. 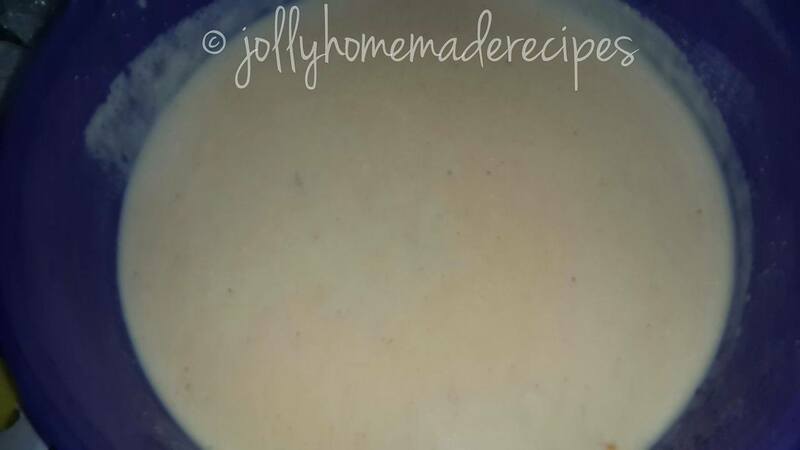 Remove from the fire and allow it to cool completely. 7. 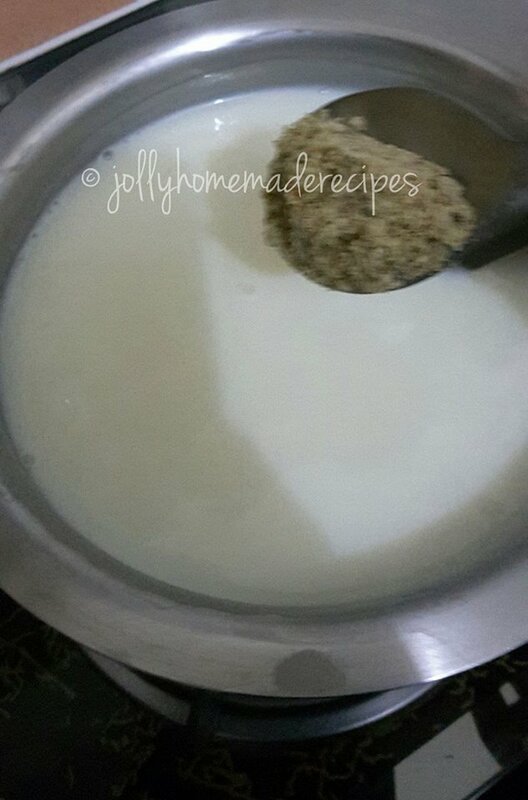 Strain the mixture through a strainer. 8. Add the cream and dissolved saffron to the milk mixture. Mix well. 9. 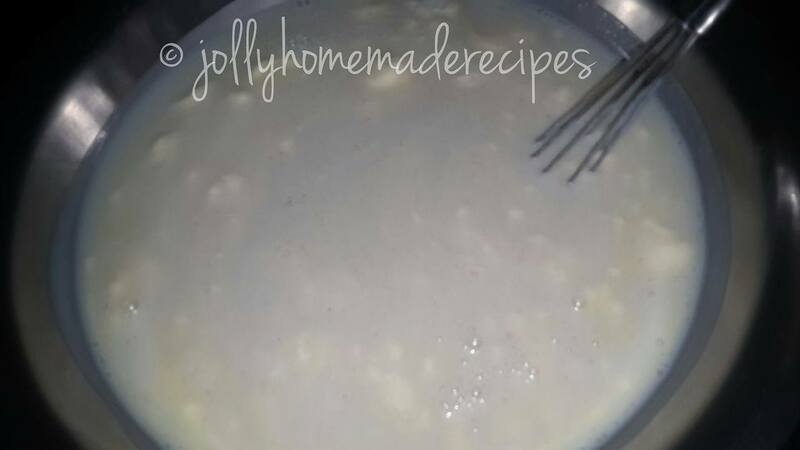 Pour the mixture into a shallow dish, cover and freeze till slushy. 10. 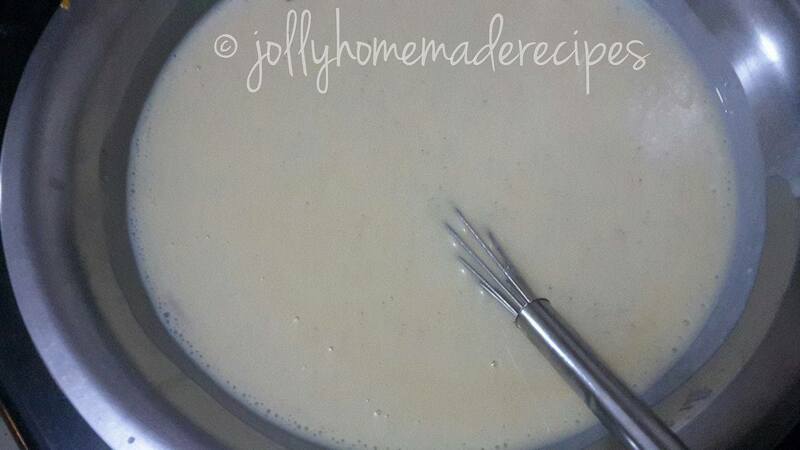 Churn the ice cream with spoon or fork till it is smooth, no need to blend. 11. 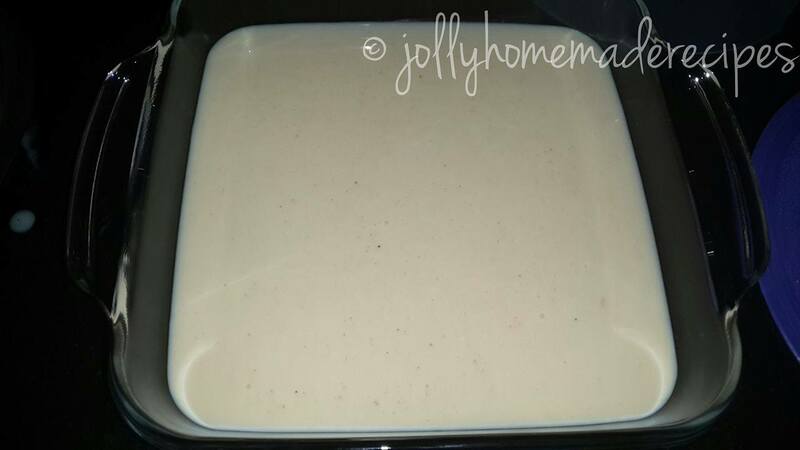 Transfer into a shallow container, cover with foil paper (so the ice will not come on top of the ice cream) and freeze overnight or till it is firm. 12. 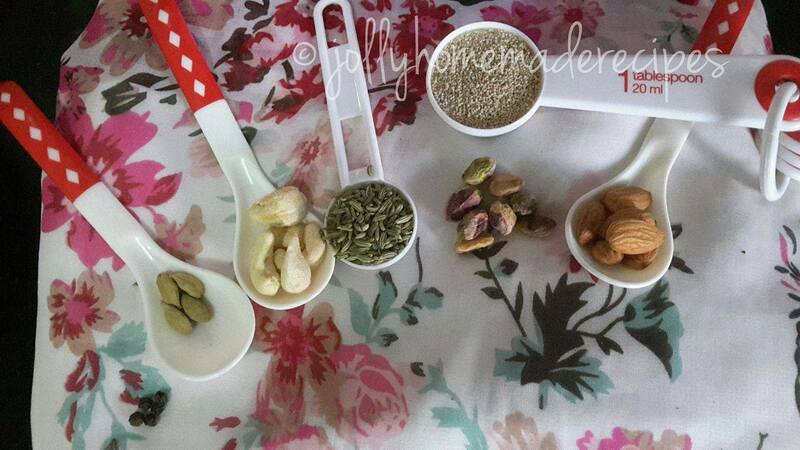 Scoop, garnish with chopped pistachios, cashew-nuts and serve. * After churn it, pour a spoon of thandai ice cream into Popsicle molds. Freeze it overnight. 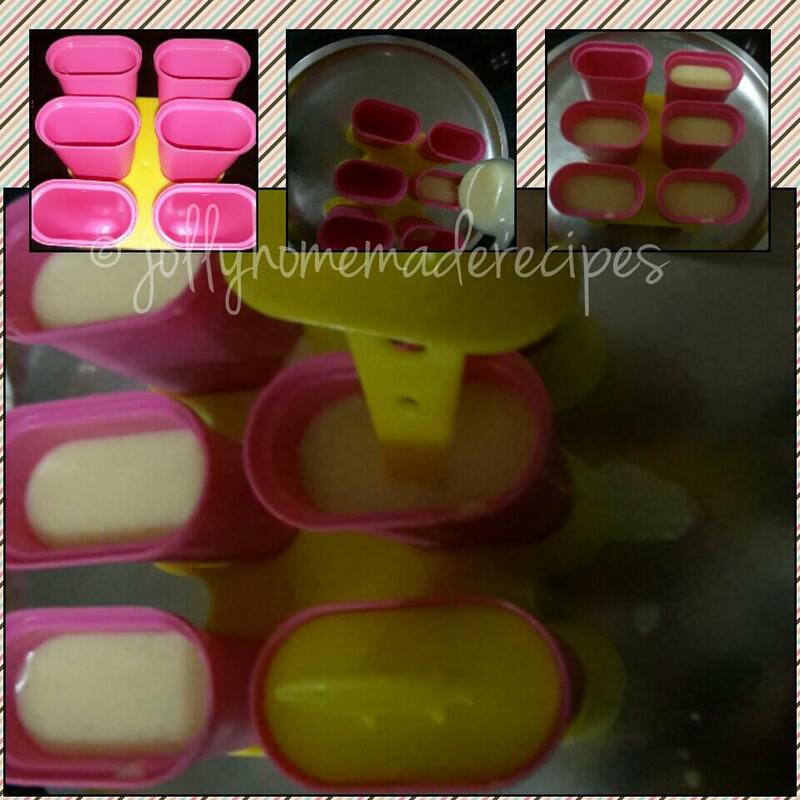 * Take muffin molds and wrap it with plastic stretch wrap, take 2 tablespoons of Carrot Halwa, press into muffin mould – firmly around the sides and bottom forming a cup. Refrigerate for an hour until firm. 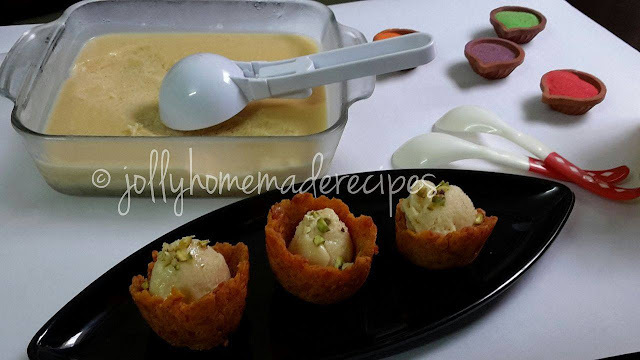 * When ready to serve remove from mould, add a scoop of thandai ice cream, garnish with chopped pistachios and serve chilled. 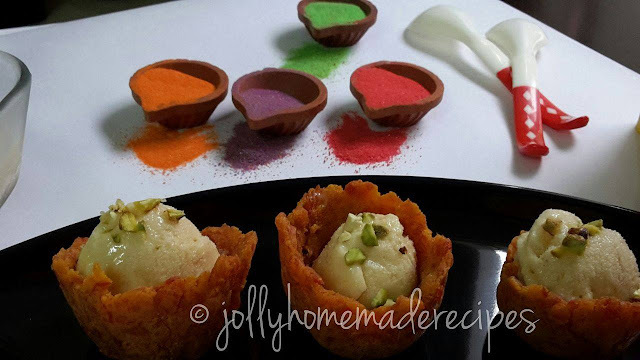 Many more holi recipes coming soon on my blog...Thanks for stopping by..
Wow, this ice cream looks cool and yummy, I want to taste now,thanks for sharing. 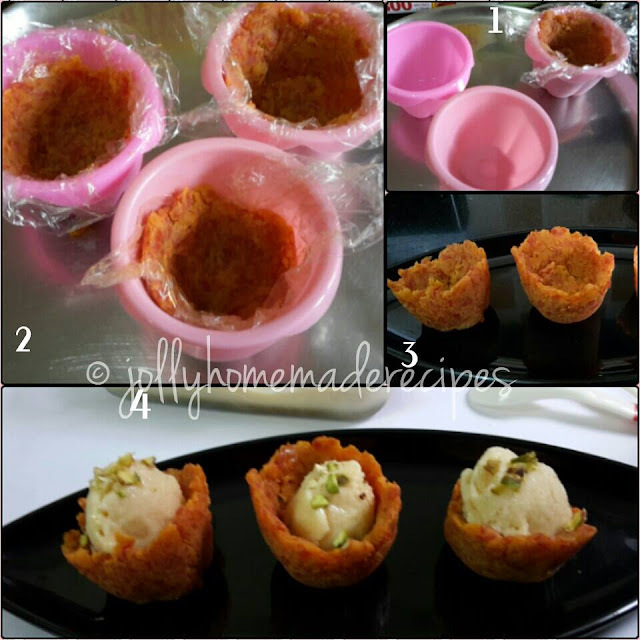 I loved the idea of serving ice cream in gajar halwa cups!! Superb idea and presentation Jolly. Whoa!! 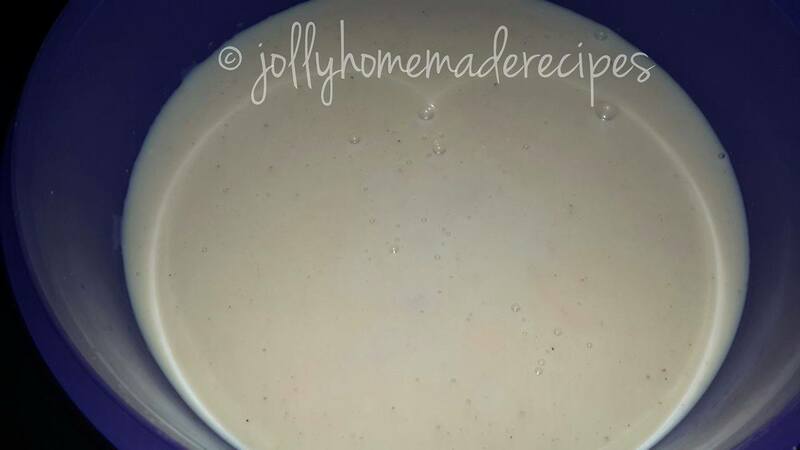 This looks so rich and creamy!! tempting clicks!! Yummy! I am drooling! 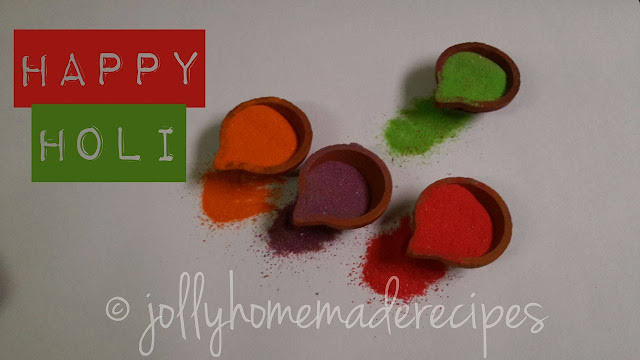 Perfect Holi treat. These sound so interesting, what a nice idea! 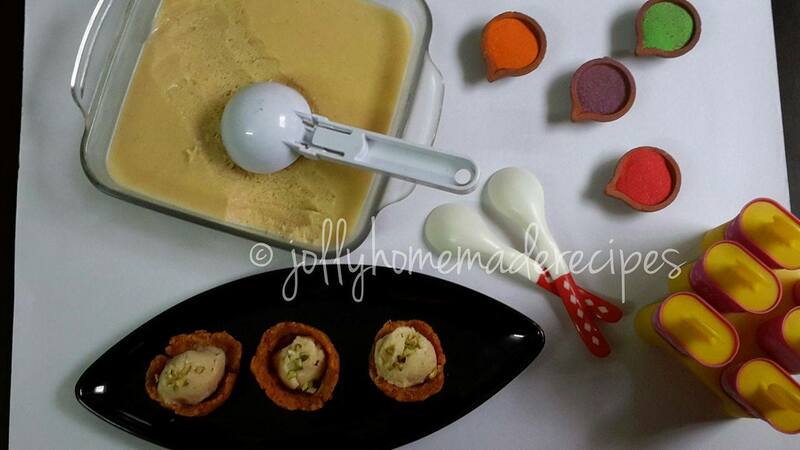 Jolly, you have managed to make the humble carrot halwa look exotic by serving it with thandai ice cream. You have a really nice blog. 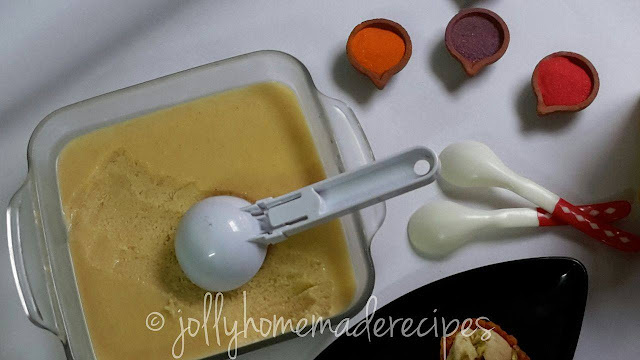 Detailed recipe and lovely presentation. 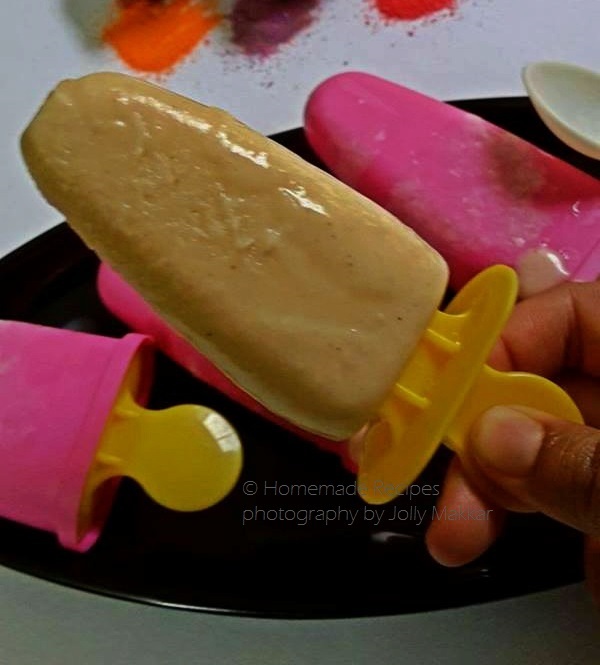 Superb idea for picky eaters. Icecream looks super yummy. 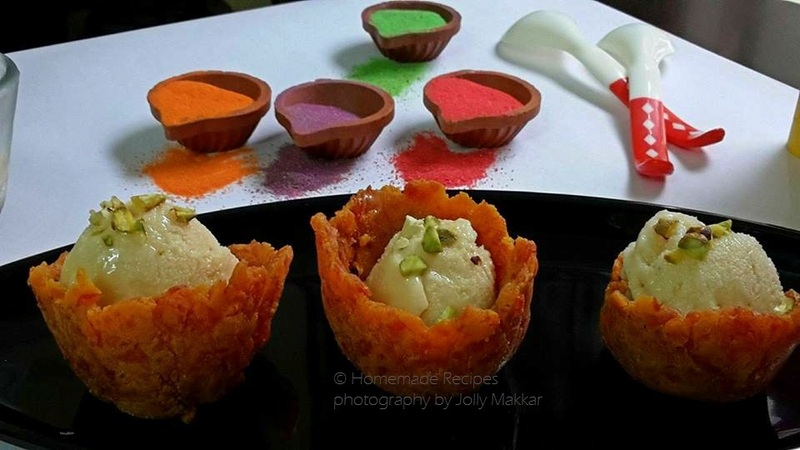 Loved the idea of gajar halwa cup. Jolly gajar halwa and ice cream that too thandai...perfect combo dear. I love the gajjar halwa cups idea, brilliant! Thanks a lot dear Punnet! Lovely and a great post. Thandai ice cream, great creativity and I am liking it now itself. sure to try. Love the presentation. Looks so beautiful and YUMMY! Absolutely refreshing icecream and i loved those carrot cups. 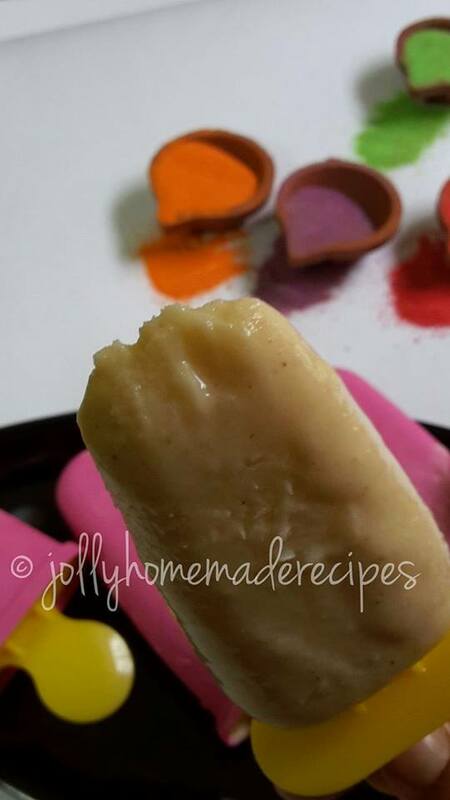 Perfect popsicles Jolly..am bookmarking these!